We are locally owned and operated. 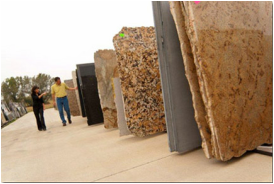 We do all of our own marble and granite design, installation and fabrication. We are sure you will be satisfied based on the feedback we have received over a decade of hands-on service in the marble and granite business. Our showroom is located in central Massachusetts. We encourage you to stop in, view our work and discuss your projects.